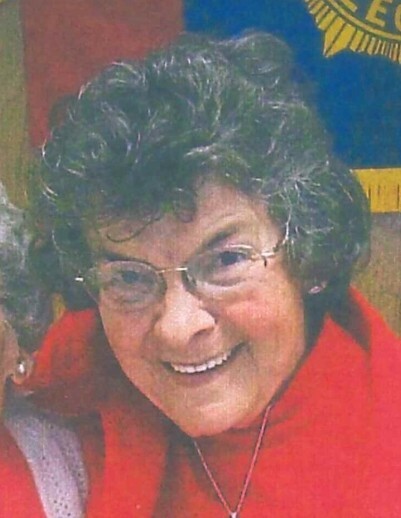 Mary Louise Evans, age 83 of Batavia, Ohio died Saturday, April 6, 2019 at the Hospice of Cincinnati East in Anderson Township, Ohio. She was a homemaker. Mary was born August 30, 1935 in Sardinia, Ohio the daughter of the late Virgil and Rosa (Huck) Henize. Besides her parents, she was preceded in death by her husband – Carl Evans in 2002 and two sisters – Gladys Webber and Jenny Reid. Mrs. Evans is survived by one daughter – Peggy L. Baker and husband David of Winchester, Ohio; two grandsons – Todd Heath of Winchester, Ohio and Billy Heath of Mayfield, Kentucky; five great grandchildren – Kayla Heath of Winchester, Ohio, Zach and Isabella Heath both of Kentucky, T.J. Heath of Winchester, Ohio and Caleb Heath of Kentucky; three sisters – Dorothy Brooks of Georgetown, Ohio, Ruth Hall of Sardinia, Ohio and Mildred Lindsey of Georgetown, Ohio and one brother – Roy Henize. Funeral services will be held at 2:00 P.M. Thursday, April 11, 2019 at the Cahall Funeral Home in Mt.Orab, Ohio. Pastor Josh Jackson will officiate. Visitation will be from 12:00 P.M. – 2:00 P.M. Thursday at the funeral home. Interment will be in the Confidence Cemetery in Georgetown, Ohio. If desired, memorial contributions may be made to the Grace Baptist Church, 3033 US Hwy 50, Batavia, Ohio 45103.